Just found this picture. It was taken when mom was pretty much due with me. 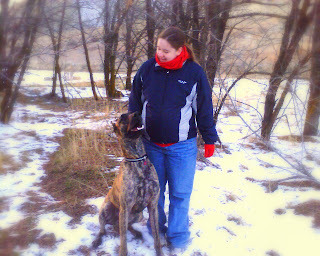 Mom went hiking with Valentine our Great Dane near the dog park. Now, Valentine lives with Uncle Joe and Aunt Bekah.